If there is anything that will tempt me to buy an organ recording, it’s one with an improvisation! More than the instrument or even who the performer is, I am always interested in hearing what sort of music someone else has created on the spot. Sometimes it’s great. Sometimes it’s not. So, if improvisation is music made for the moment, should it be recorded? While the capacity to record is much more available than it once was, we still don’t walk around recording all of our conversations. Our smartphones may record audio and video that we share through social media, but those are only excerpts of our day. Some moments, regardless of how wonderful they may be, just cannot be captured except in our memories. As music made for the moment and for a specific audience, improvisations may not carry the same message or relevance to someone outside that initial performance. A movie may be a real thriller the first time we see it, but after we know the ending, it likely is not as exciting the second or third time through. What we thought was a fabulous improvisation, may not stand up to repeated hearings. It won’t be the same occasion. It won’t be the same audience. Philosophically, we can argue that improvisations are just moments of our musical life to enjoy while we can. Once they are over, they are gone. For the study of improvisation, I believe it is extremely helpful to have recordings. Not only is it useful for us to hear other living masters that we may not be able to travel to hear live, the past masters such as Tournemire, Cochereau, and Dupré still live for us through their recordings. We spend hours analyzing written scores, considering the form, harmony, and counterpoint a composer put down on the page. 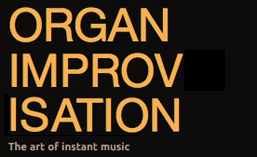 How much time could we spend doing the same with improvisations? Any question we ask about a written composition can be posed for an organ improvisation recording. If we wish to learn to improvise, recording ourselves and obtaining recordings of others can help us make progress. With the prominence of video recordings, we can see how people create the sounds that we hear. I remember buying a Messiaen piano score once just in order to discover how a certain sound I heard on a recording was made! With the multitude of tone colors available at the organ, seeing whether that solo is in the left hand or pedal may be a lot simpler than guessing from listening. While the musical affect may not be the same as when we first hear an improvisation, repeated listening give us the chance to learn vocabulary, grammar, and form. As children, I’m sure we all had a favorite book that our parents read to us over and over again. Through repetition, we absorbed words and an innate sense of language structure. The same can happen when we listen (or watch) an improvisation over and over. Last night, I recorded my first CD. 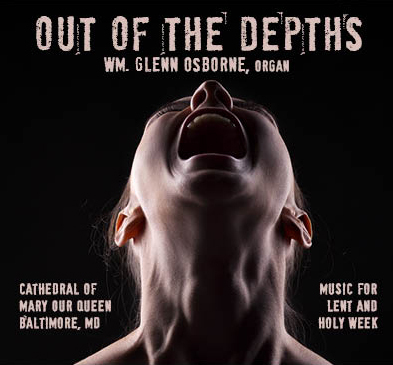 It is the program I played in Lent after I began here in 2015. On that program, I included an improvisation. 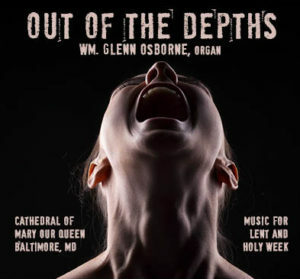 Because I have gotten such joy from organ improvisation recordings, I am including one on the Out of the Depths CD. The improvisation on the recording is not the one from the concert. I did choose to use the same theme: Wondrous Love. Now almost two years later, that is honestly about all I can remember from my original improvisation. If you ask me to improvise on that same melody two years from now, because of this recording, I will be able to do something similar. As the audience and occasion will be different, I probably would still do something different then. One theme lends itself to many different treatments, so even if we work with a them for a certain type of improvisation for some time, it never has to be the same way twice. How many different ways have you improvised on the same theme? Recordings are useful and inspirational. Which improvisation recordings have you found most beneficial and why? How do you use recordings to further your studies? Some of the ones I know about are available through Amazon. Let me know if you have others I should add to my library! See the complete list of past newsletter issues here. Sign up to receive future issues using the box to the right on this page. This entry was posted in Newsletter and tagged out of the depths, Recording. Bookmark the permalink. ← Kansas Here I Come! Subscribe to our mailing list for a free guide to improvising a French Toccata and weekly practice tips!